Few of our books come by way of what major publishers call the “slush pile,” or a proposal sent to us by writers, not agents, by mail. But sometimes you’re sent one that captures your attention, and has a particular magic. One submission, from a strikingly intelligent and attractive 22-year-old, told about her fall into near-murderous schizophrenic episodes. Needless to say it caught our attention. The author’s name is Whitney Robinson, a Massachusetts resident, and she admits that she found her way to Feral House from a book she found in her father’s library. I think it was a John Zerzan tract against modern civilization. Anyone can tell us about harsh personal events, but very few people combine a striking personal story with striking literary skills. 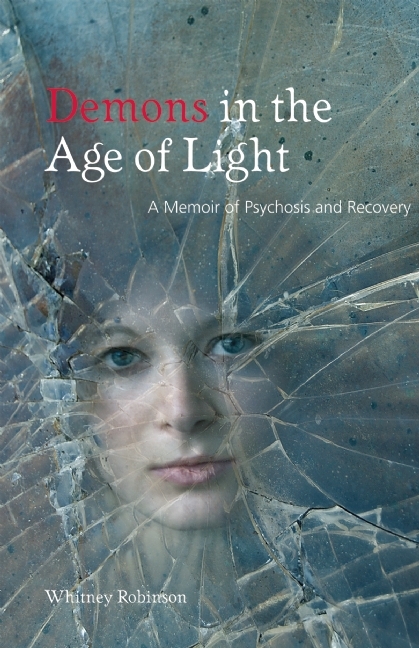 The book is called DEMONS IN THE AGE OF LIGHT: A MEMOIR OF PSYCHOSIS AND RECOVERY, and it tells us the ways in which Whitney found a “cure.” Let us say that it had nothing to do with psychopharmacological drugs, or The Church of Scientology either. There’s no possible reply to that idea, is there? We’ll be providing excerpts from DEMONS on the site here, and apologize to Leonard Roy Frank about using “Psychosis” in the subtitle. You can read Whitney’s blog here.